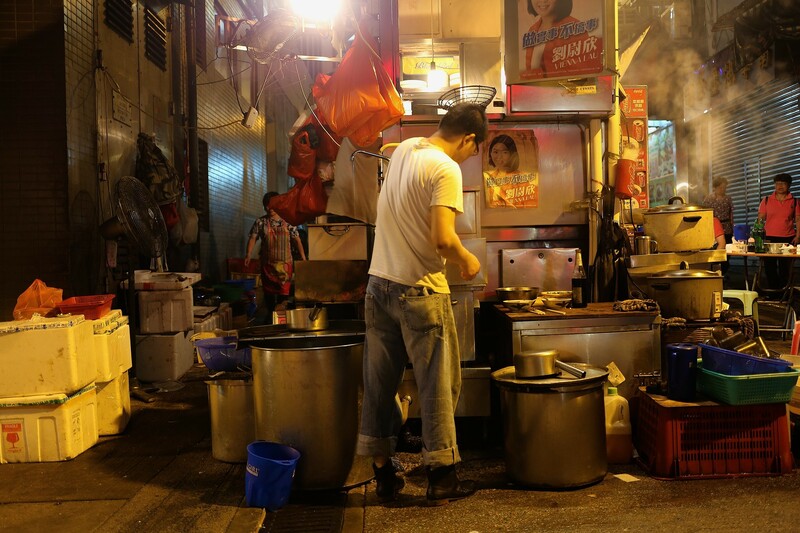 The disappearing Dai Pai Dong is part of the vibrant and bustle of Hong Kong life. 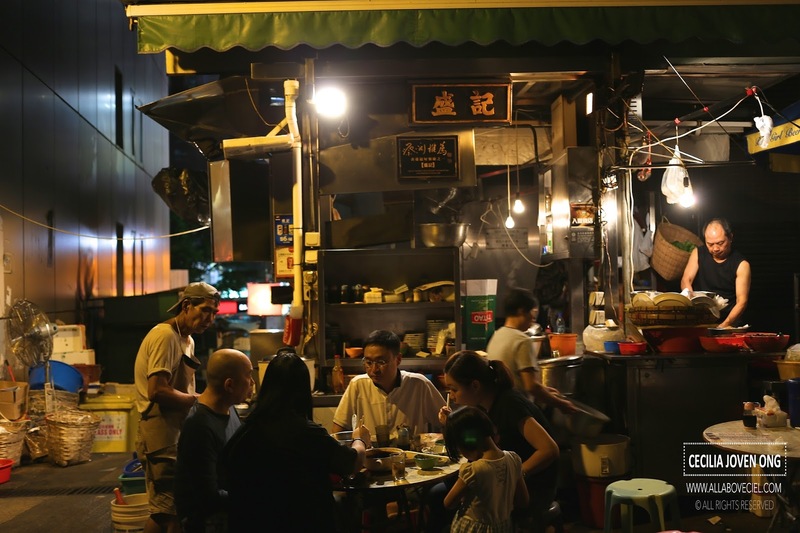 Sing Kee (盛记) is amongst the famous ones that widely reported by different local and foreign media. That somehow explained why there were quite a few tourists spotted while i was there. As it was still early, no queue yet. We grabbed a copy of the menu and a table thereafter then browsed through the menu to decide what to order. 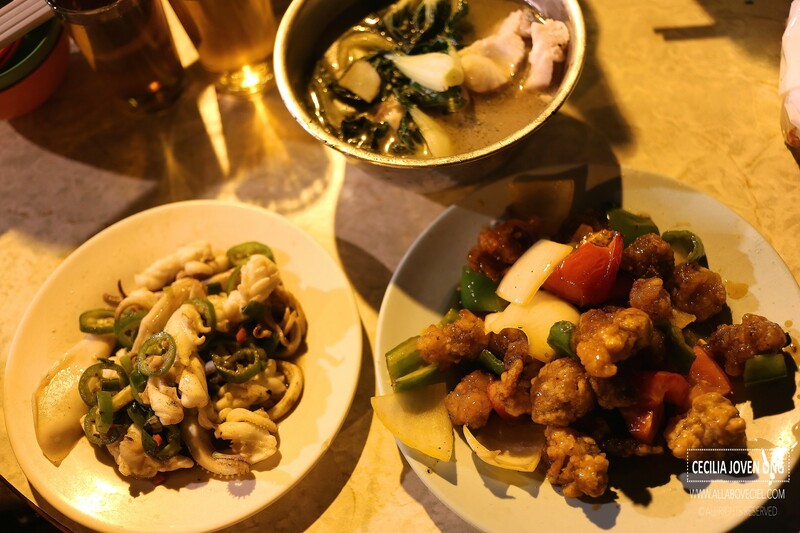 Their dishes are like some of those common cze cha dishes that we have in Singapore. 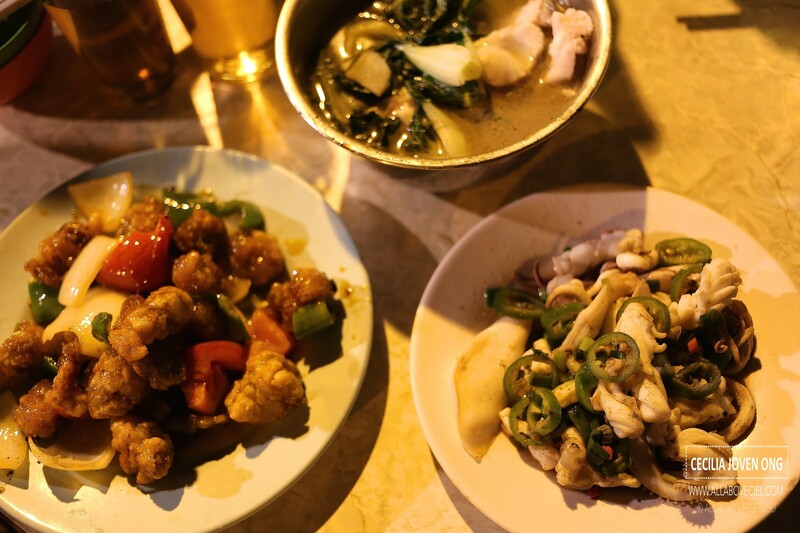 After a few minutes, we decided to go with Fried Pork Ribs in Sweet & Sour Sauce (生炒排骨) at HKD $52, Squid with Pepper & Salt (椒盐鲜鱿) at HKD $52 and a small bowl of Soup which they did not specifically indicate what type of soup it is on the menu. We were then given empty glasses to help ourselves to the pot of hot tea that is available in every table. We ordered soft drink too but they have overlooked the order. Fried Pork Ribs in Sweet & Sour Sauce (生炒排骨) came first without serving the plain rice. We were have to ask again from the serving staff, though not the friendliest service encountered but we managed to have our rice to eat with the dish. 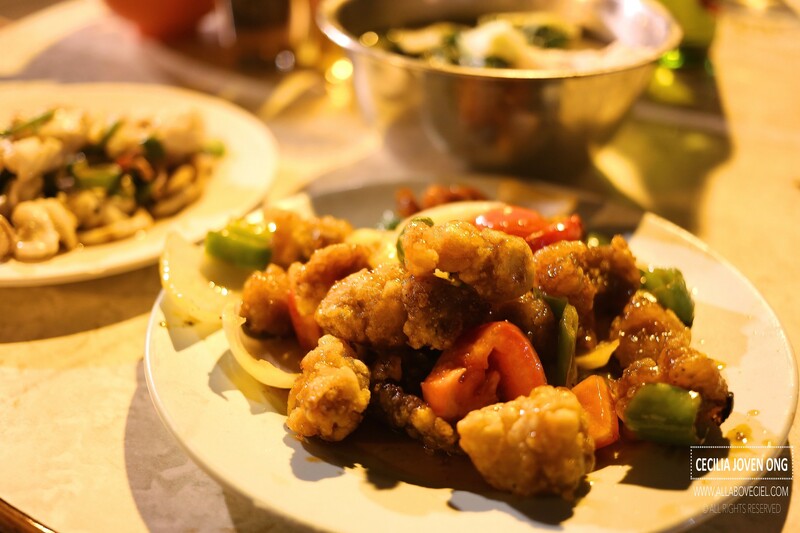 Those pieces of fried pork were a little too fatty but well-fried to give it the crispy texture then mixed it slightly with tomato based sauce as well as with ingredients like tomato, green pepper and onion to give it the flavor. It was a tasty dish as it went pretty well with the rice but a little too salty if eat it on its own. Next, came the Squid with Pepper & Salt (椒盐鲜鱿). 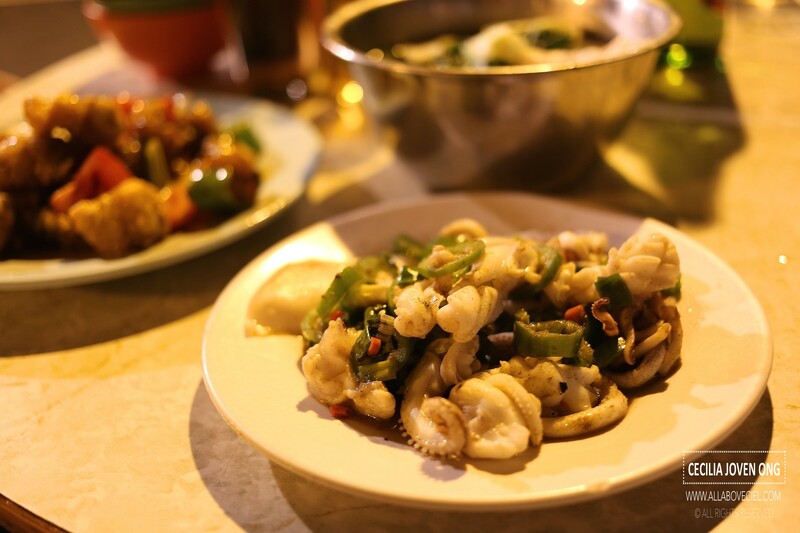 It was a simple dish that consists of fresh squid stir-fried with green cut chilli and chilli buddy with bits of peppercorn. it was nicely cooked to give the squid a desired texture and not getting too chewy. The Soup came last. We did not quite expect this simple soup dish turned out to be our favourite of the night. 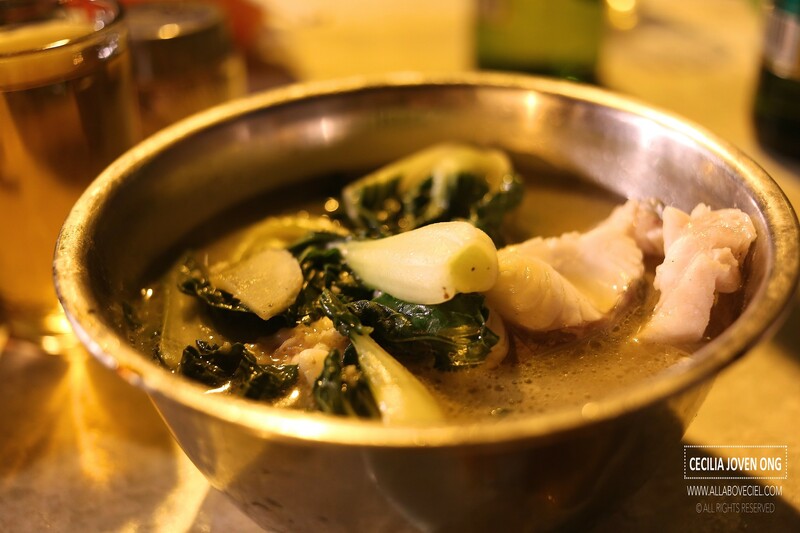 It was a sliced fish soup with vegetable, not too fanciful though but pure comforting that reminded me of home and the cooking by my late Grandpa. It was getting crowded during dinner as we ended up sharing our small table with some Korean men. They started drinking, chatting and laughed too loudly though quite unbearable but table sharing is a part of dining culture in Hong Kong. It was still an enjoyable dinner nonetheless. I could not but wonder, how much longer would such a Dai Pai Dong be around? 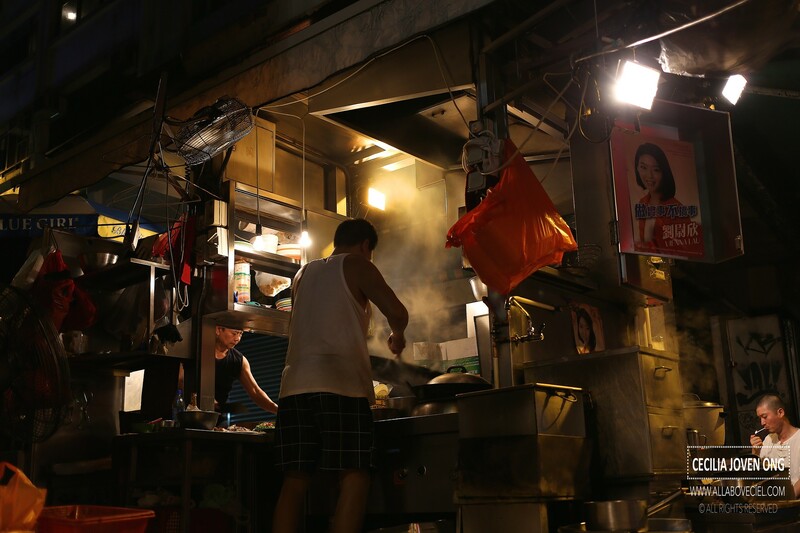 it reminded me the hawker culture of Singapore, it is getting less colorful with many of those pioneer generation hawkers retired with not enough of the younger generation to take up the trade. Some of those younger generation might just jumped in to give it a try but quit a little while later, some were disillusioned as hawker trade is not as easy as it seemed or some were discouraged by the unfair beating system to get a hawker stall or some were just felt beaten by the unreasonable high rent.